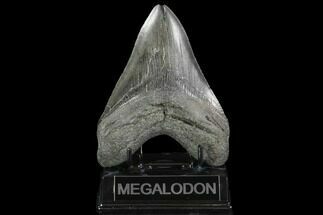 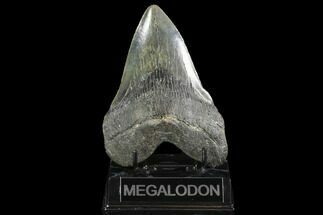 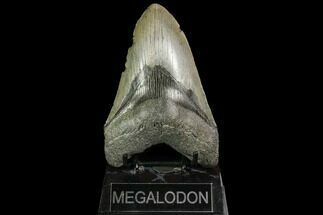 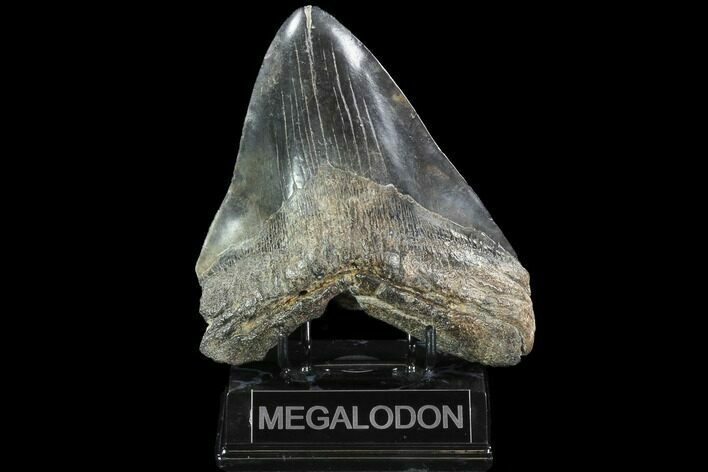 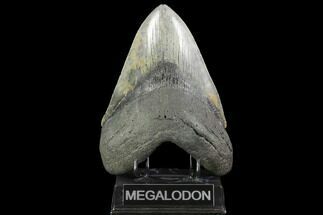 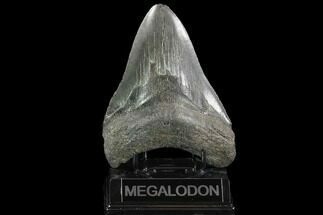 This is a huge, 5.87" long, fossil Megalodon tooth collected from the Morgan River in South Carolina. 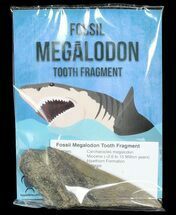 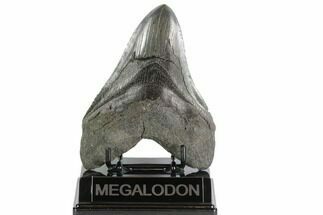 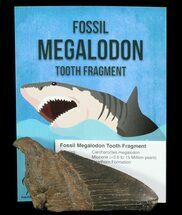 A tooth of this size would have come from a prehistoric, mega-shark in the 45+ foot size range. 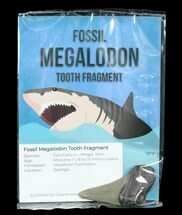 Comes with the pictured display stand.